Easing fears fro global growth and a better outlook for US and China trade negotiations has helped the Australian Dollar post some strong gains in the past few weeks. 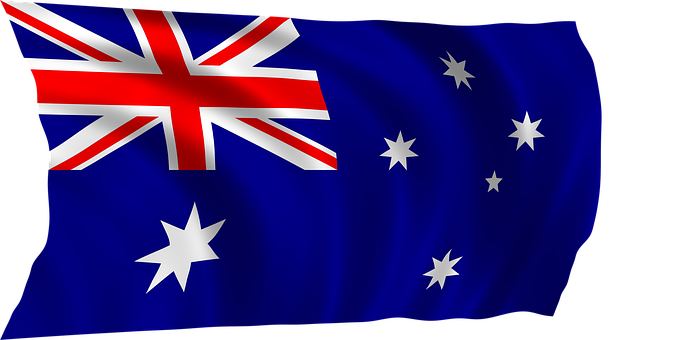 In the last calendar month the GBP/AUD exchange rate has fallen from 1.8750 to 1.8290, a gain of 2.5% for the Australian Dollar. Will this run continue? As UK parliament is on recess for the Easter break there will be no discussions regarding Brexit meaning the pound will be vulnerable to data sets and market movements elsewhere. Of course longer term, the pounds direction will be dictated by on-going Brexit negotiations but it is important for those that have international money transfers to keep a close eye on data from around the world and the impact this will have in the respective currency you are dealing with. Will the AUD continue to rally? Along with improved global sentiment and improving figures from China, Australia’s largest net importer of raw materials, sentiment from the Reserve Bank of Australia also seems to be changing. Earlier in the year, and one of the reasons the AUD devalued so much in March, was due to a dovish tone from the Reserve Bank of Australia (RBA) suggesting the next move could see interest rates fall – something that historically has a negative impact on the value of a currency. This sentiment seems to have changed and they dispelled rumours that the next move would be a cut, reversing the impact on the value of the Australian Dollar. As a result I would not be surprised to see GBP/AUD exchange rates trend towards 1.80. Do you need to buy AUD? Can we help? Currency Forecasts is a blog that’s regularly updated with information on what’s happening with the currency markets. Our aim is to help those looking for the best exchange rates stay up to date with market movements, and to help our clients make an informed decision on when to fix a rate of exchange. If you want the best rates of exchange for your currency transfers, then get in touch with us to see how we can help. Our rates are extremely competitive, we are fully FCA authorised and have been helping clients move funds to buy and sell property abroad for 15 years. Good morning. Markets are quiet this week. Lots of people are off for Easter, the Brexit can has been kicked down the road again, and parliament are also on their Easter Break. There are still on-going talks between Labour and the Conservative Party, and if there are any developments that look like they could come to an agreement, the Pound could go up in value. In the absence of any Brexit related developments however, markets do have other events in the coming week to focus on. 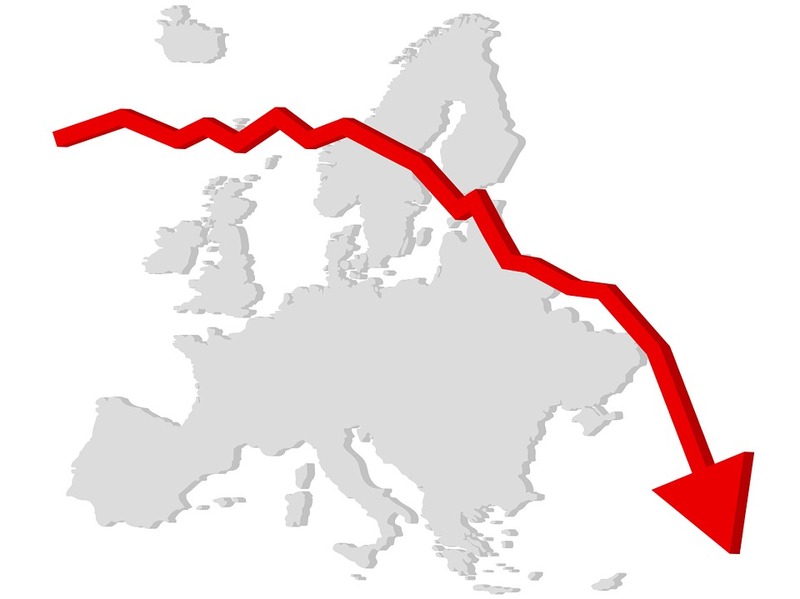 There are various economic data releases this week that will show us how the British economy is faring despite the uncertainty about leaving the EU. Below, I have outlined the main releases and how they could affect GBP exchange rates. If you need to make a transfer and would like to speak to an expert about which way rates are going, contact us today. Monday 15th April 2019 – There is little on the calendar today to move the currency markets. There’s a survey from the Bank of Canada that could affect GBP/CAD rates. Elsewhere the only other item of interest is a speech by one of the Bank of England members that could affect the Pound. Tuesday 16th April 2019 – A busier day for UK data, with the latest Unemployment and Wage data. This has been impressive of late, with UK unemployment at record lows. We expect levels to remain at 3.9% but if they are lower, the Pound could go up. Wage growth is expected at 3.4%, so again if the actual number differs Sterling could move. Elsewhere we have Economic Sentiment data from Germany and the EU, and Inflation numbers from New Zealand that could move the GBP/NZD pair. Wednesday 17th April 2019 – The Pound could also move today as we have a raft of inflation numbers from across the world including the UK, Eurozone and Canada. Inflation figures affect interest rate movements, which in turn affect the value of the currency concerned as higher rates equal a higher return for investors. If inflation numbers are above forecast, it often causes the currency concerned to rise in value. The UK release is at 09:30am so we could see some volatility around this time. Thursday 18th April 2019 – The only UK data of note today are the latest Retail Sales numbers. These are a good barometer of the economy as a whole, and so often moves GBP exchange rates. We expect a slight monthly drop of -0.2%. Elsewhere we have Australian jobs numbers that could move GBPAUD. Across the pond, the USA has some lunchtime data including Retail Sales and Jobless numbers. Friday 19th April – It’s a long weekend in the UK for the Easter Break, so expect a very quiet currency market. The USA has some minor Housing data but it’s likely to have much of an impact on exchange rates. As Brexit has been extended and the Pound has dropped away, the question many of our clients are asking is when to convert Pounds to Euros? This week as expected, the UK and EU agreed to push back the Brexit date until 31st October. 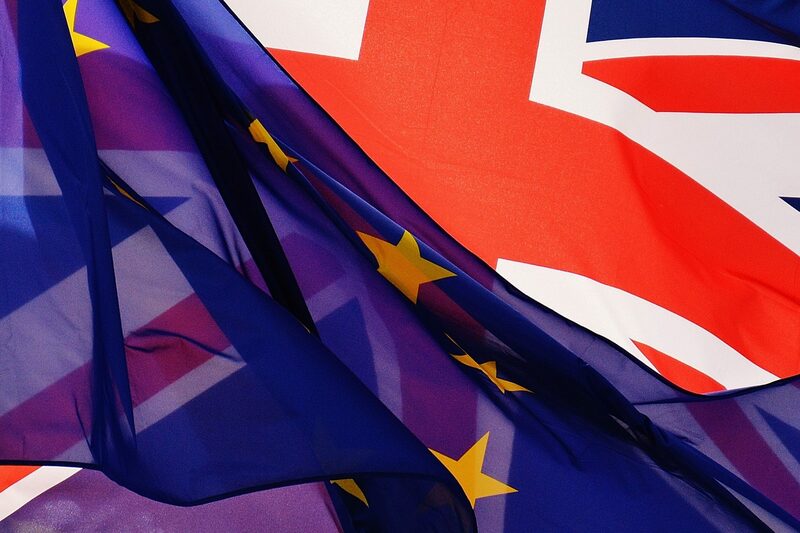 While removing the threat of the UK crashing out with no Deal today, extending Article 50 has also simply extended the uncertainty for business’s, investors and consumers, and the Pound has weakened as a result. The political and economic uncertainty is now going to drag on for another 6 months. Donald Tusk advised MP’s not to waste the extra time they have been given. MP’s then cheered as Commons leader Andrea Leadsom re-instated their 2 week Easter holiday so nothing will be done until next month. What next for Brexit and the Pound? Who knows what this extension means and how it could impact the Pound in the coming months. There might be a new Conservative leader that would be Eurosceptic eg. Boris Johnson. The Bank of England will likely hold off any interest rate rises while they wait to see what happens. In realilty nothing much has changed. Parliament is still divided, the Government is still divided, there is still no majority for any kind of deal, and the extension has simply kicked the can down the road. For these reasons above, we can’t see where any gains for Sterling are likely to come from. Uncertainty remains and with no resolution to the Brexit issue likely until the Autumn, it’s likely the Pound will either stay flat or fall against other currencies. When to convert Pounds to Euros? Many of our clients have been waiting to see what will happen, as any agreed deal would have likely strengthend the Pound against the Euro and other currencies. With no deal likely until after the summer, there is now little point in waiting. Those that need to convert Pounds to Euros in the next 6 months should get in touch today to discuss the options with a currency expert. There are various ways you can protect against adverse rate movements, including Forward Contracts, Stop Loss orders, and Limit Orders. We offer exceptional rates of exhcange, and an online trading account so you can see the rates we offer 24/7. By comparing our rates with your bank or existing broker, you can see how much you could save by taking advantage of our competitive rates. For large transfers we usually save our clients thousands of Pounds. Good morning. In today’s post I’ll take a look at the week ahead and events that could affect Sterling exchange rates. The most important news will likely to be any developments with Brexit, although economic data will still have an impact. Let’s first take a look at what could happen to the Pound with regards to Brexit, before moving on to the scheduled economic data releases. Brexit deadline this week, what could happen to Sterling? Last week Sterling fell in value as markets were concerned that with less than a week to go, there is still no resolution to the current deadlock. As MP’s continued to bicker about what kind of Brexit deal they want, we now have less than 5 days before the UK crashes out with ‘No Deal’. This scenario is still unlikely, but remains an outside possibility. This Friday is the deadline, and parliament need to agree a way forwards before this weeks EU summit, and pass the withdrawal agreement. If this happens, the Pound is likely to rise in value by up to 3%. What happens if no deal is agreed, and how could this affect the Pound? If no deal can be agreed, then there are 2 options left. Leaving with no deal is still the current legal default, and if this starts to look likely, then Sterling would plummet in value by up to 5%. However this is still unlikely, as if no agreement can be made then we think that the UK will request a long extension to the Article 50 process to avoid a No Deal scenario. If this were to happen, it’s hard to know what effect it would have on the Pound. It could weaken Sterling due to the extended uncertainty it would generate. On the other hand, the fact that it avoids No Deal and would push the UK towards a so called ‘softer Brexit’, could lend some support to the Pound, helping to keep rates from dropping too much. So after nearly 3 years of negotiations, this week is a very important one for how things move forwards. In addition to Brexit developments, there are also a raft of economic data releases that will also affect the currency markets. These are outlined below. If you have a currency requirement and would like to discuss the market with an expert, or just get a quote to see what exchange rate we can offer you, contact us today. Monday 8th April – There is little on the calendar today to affect the currency markets. Sterling will be moved by any signs of a deal on Brexit. We have already had some better than expected Germany Trade Balance figures that has strengthened the Euro a little. This afternoon at 2pm the USA releases Factory Order numbers that could move GBP/USD. Tuesday 9th April – The only UK data of note is Retail Sales numbers from the BRC, although it is a minor reading and as such, unlikely to have much of an impact on the value of Sterling. Elsewhere, Australia releases Home Loans and Investment lending figures. There is also a speech by a FED member that could affect the US Dollar. Wednesday 10th April – Things start getting a little busier today, with 3 key releases from the UK: Industrial Production, Manufacturing production, and the latest HDP numbers. Markets expect flat growth for all 3 readings, so any positive figures should help the Pound gain. The ECB have an interest rate decision, but we expect rates to be left on hold. The policy statement that follows could generate some Euro volatility. The European Council summit on Brexit also starts today which is the main event of the week. Over in the USA we have inflation numbers, a monthly Budget statement, and the FOMC minutes, all of which could affect GBP/USD rates. Thursday 11th April – The main news today comes from the USA in the form of Jobless Claims, and speeches by key FED members that could influence future interest rate movements. Australia also has a speech by a central bank member and inflation figures. New Zealand has Business PMI and Retail Sales figures. Friday 12th April – Brexit day. This is the deadline for the UK to agree a deal to leave the EU. If a deal is agreed then the Pound is likely to strengthen. If the UK leaves with no deal, expect Sterling to plummet in value. We also have EU industrial production figures and a consumer sentiment measure from the USA. If you need to transfer a large volume of currency, get in touch today to speak to an expert currency broker. We can explain what is moving the rate, give you our view on which way rates are headed, and provide you with a quotation to compare with your bank or existing broker. Our rates are up to 5% better than your bank or existing broker may offer, potentially saving you thousands of Pounds.